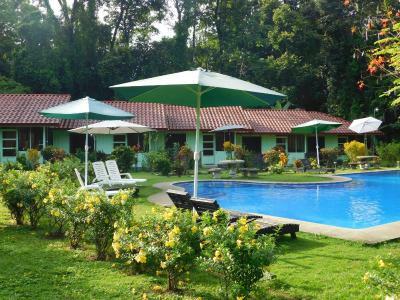 Lock in a great price for Hacienda Baru – rated 8.3 by recent guests! 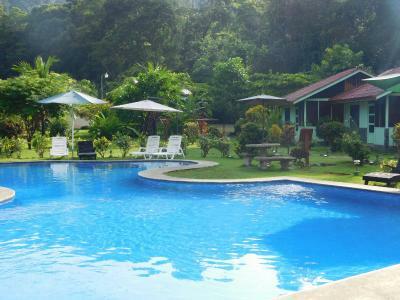 The greatest benefit of this property is the remarkable location! 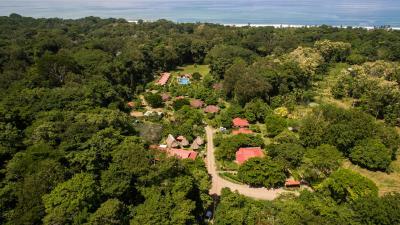 Trails on hundreds of acres of rainforest, grasslands and beaches put you in close proximity to wildlife of the region. 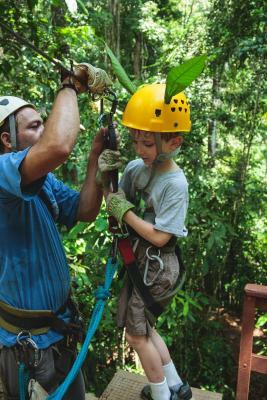 The guide was very knowledgeable and communicated his love of nature and the forest as well. 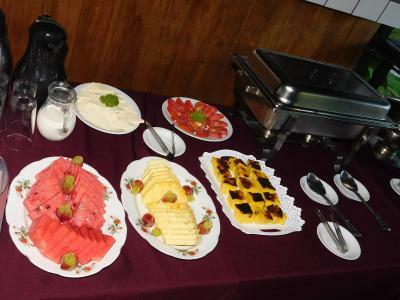 The food was simple, but healthy and fresh. We will be back! 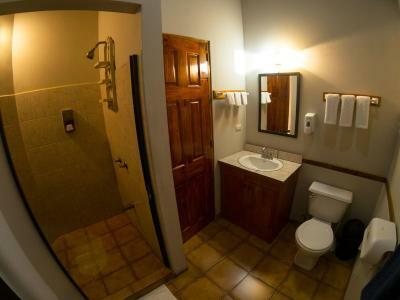 Large spacious room, well located with great access to hiking trails. The staff always friendly and helpful. Good value restaurant on site. 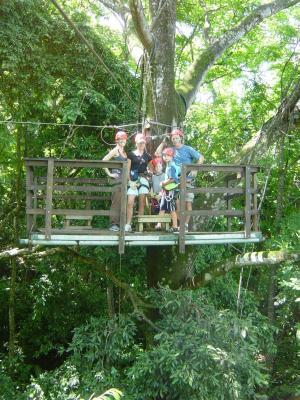 This reserve is beautiful and totally worth either a day trip or staying there. The trails are nice and well maintained and we saw a bunch of animals without a guide or anything - just walking quietly. The beach is gorgeous and was completely deserted. (No swimming; there are riptide warning signs.) Restaurant is pretty good and reasonably affordable for a hotel restaurant, staff was friendly, and there's a lot to do in the area. We had a standard bungalow near the pool. It was huge, with king and twin beds, a high ceiling, and seemed like it was recently built. 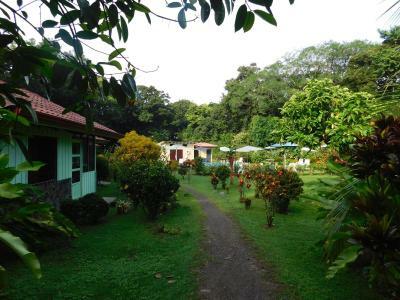 The grounds are beautiful, with plenty of birds and iguans, and there are trails into the wildlife reserve. We did a 3 km self-guided tour at 6 am and saw lots of white-faced capuchins, an agouti, a family of collared peccaries, great curassows, and lots of birds. Die Häuschen stehen sozusagen Mitten im Wald, sodass man die Dschungel Geräusche genießen und die Tiere unmittelbar erleben kann. Das Restaurant ist prima, auch für Vegetarier sehr gut geeignet, nettes Frühstück mit viel frischem Obst. Im Haus sind überall Moskitonetze angebracht, die Dusche funktioniert einwandfrei. Es gibt auch einen netten Pool, wenn man Glück hat, kann man von dort aus die Tiere beobachten, die Vögel auf jeden Fall! Die Natur Touren sind unkompliziert zu bewerkstelligen. Insgesamt eine wunderbare Unterkunft mit netten Mitarbeitern. Logement et piscine très agréables à proximité de la plage. Le site est calme, la nature splendide, les balades et activités interessantes (faune & flore). Petit déjeuner parfait et varié. Situé dans un très beau jardin. Avec très jolie piscine, avec tables en pierre et parasols.Chaises longues. . Proche de l'Océan Pacifique. Panneaux explicatifs en 3 langues (espagnol, anglais, français). Bon restaurant, personnel très gentil. 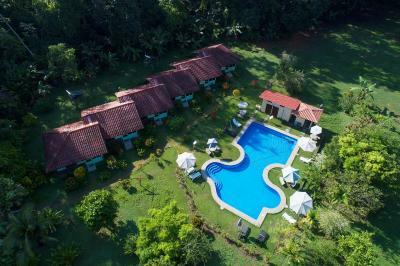 With an outdoor swimming pool and a garden, Hacienda Baru has free WiFi and is located in Dominical, 7 miles from Alturas Wildlife Sanctuary. 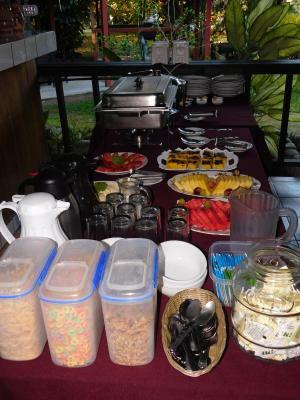 The lodge offers a continental or American breakfast. 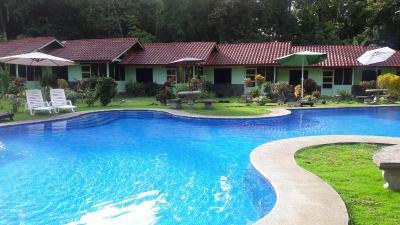 A car rental service is available at Hacienda Baru. Nauyaca Waterfalls is 7 miles from the accommodation. 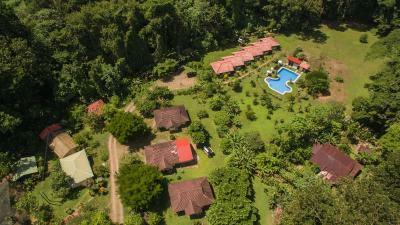 The nearest airport is Palmar Sur Airport, 41 miles from Hacienda Baru. 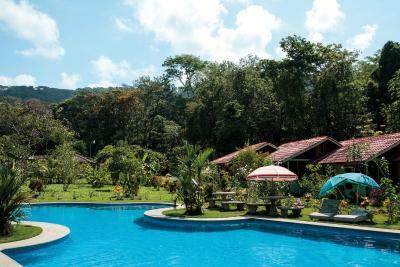 When would you like to stay at Hacienda Baru? 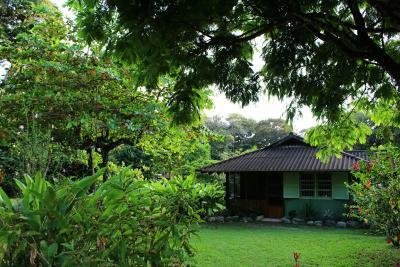 This bungalow has a private entrance, tea/coffee maker and view. 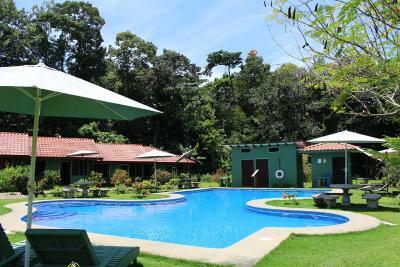 Hacienda Baru is an excellent destination for Costa Rica Ecotourism, Bird Watching and Wildlife Observation. 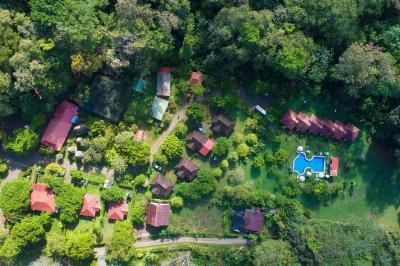 The Ecolodge is surrounded by Baru National Wildlife Refuge which conserves 330 hectares (815 acres) of tropical rainforest, mangrove, wetlands, river bank, and beach front. This wide variety of ecosystems means a high level of biodiversity, and that is why Bird Watchers have sighted over 365 species on the refuge. 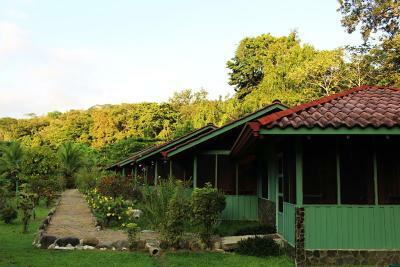 The six rustic cabins and six new rooms are very nice and comfortable. 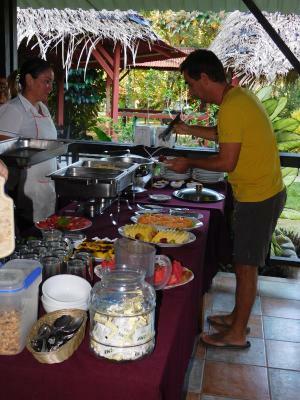 The open air restaurant serves delicious typical Costa Rican dishes at popular prices. 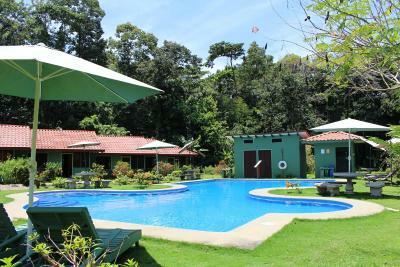 Within the gardens surrounding the lodge you will find a butterfly garden, an orchid garden and a bird watching tower. 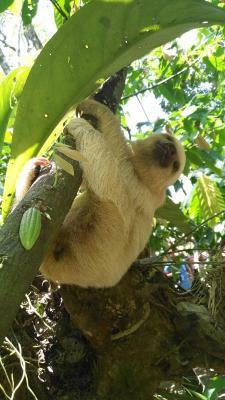 Eleven ecological tours are available including rainforest canopy tours, hiking tours, overnight tours and bird watching tours. 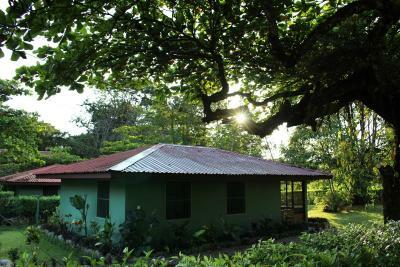 Hacienda Baru has been catering to Ecotourism and Birding in Costa Rica for more than 26 years. 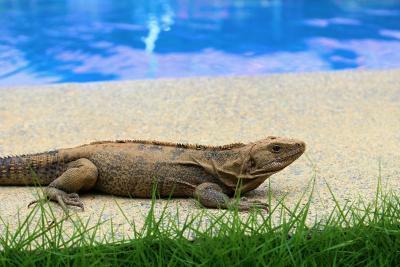 House Rules Hacienda Baru takes special requests – add in the next step! 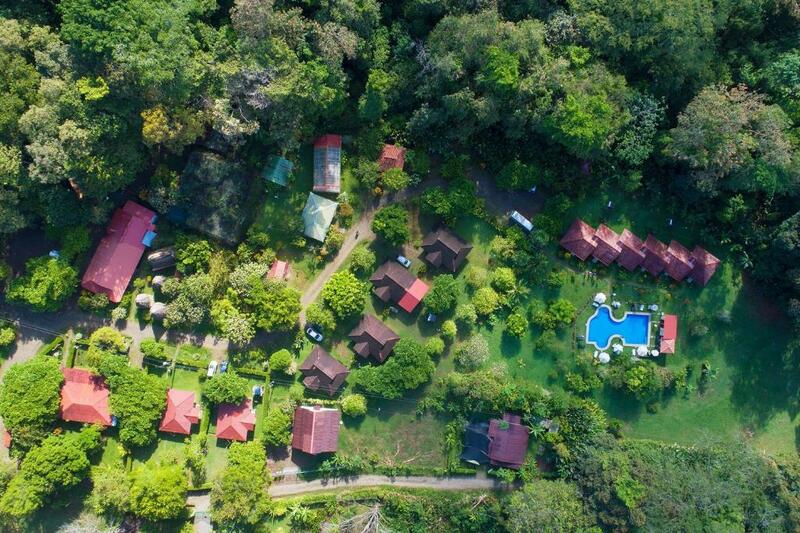 Hacienda Baru accepts these cards and reserves the right to temporarily hold an amount prior to arrival. Please inform Hacienda Baru of your expected arrival time in advance. You can use the Special Requests box when booking, or contact the property directly using the contact details in your confirmation. No internet access in rooms. It is only available in the restaurant. Trail maps could be more detailed. 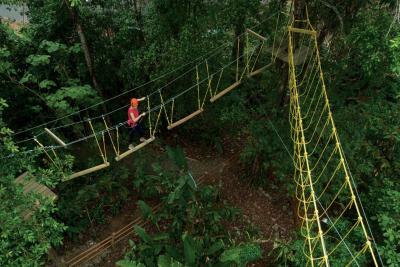 Some trails are not listed by name or distance. More signage along trails would be helpful to help you know where you are. A few small items could have made the cabin a little more comfortable - more fans, table lamps, etc. Despite having ceiling fans, the room was quite hot. 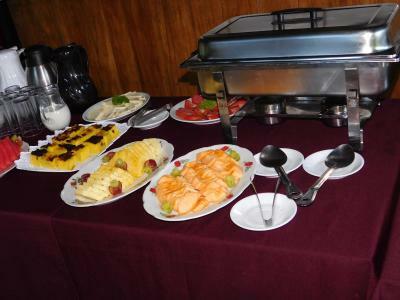 Also, while the buffet breakfast was very good, our dinner at the restaurant was only average.